Liczba stron: 471 Jest to ujednolicona liczba stron, która ułatwi Ci porównanie długości książek. Każda strona Legimi to 200 słów. For years we’ve been saying that there’s a Great Mystery in the history of Rock’n’Roll.One of the 20th Century’s most outstanding stories, concerning the alleged death of Paul McCartney and his subsequent replacement with a lookalike.The story was based on "clues" from record sleeves, songs, sounds that "proved" Paul had been killed in a car crash in November of 1966.This rumour, usually called “PID” (Paul Is Dead) or, less frequently, “Beatlegate” started circulating in London during much of 1967, though it was limited to a very small circle of people. The rumour surfaced again in late 1969 in the American Midwest, gaining momentum over the following several months; it spread worldwide and, shortly afterwards, it was abruptly (maybe too much so) put aside, hastily labeled as nothing more than folklore.This story is a thriller, a mystery tale. As in any good thriller, there are detectives, incriminating evidence, "witnesses" being formally questioned, exhibits, examinations, arguments, counter-expositions. Moreover, being a case quite far off in time, though never definitely closed, many new theories have been built around it. And, in the meantime, new investigational methods have been developed.The PID mystery is still pretty far from being solved, but the multiple inputs supplied during this lapse of time deserve a further survey. The answer is still the same: “what did actually happen?”. If it was a Great Hoax, why on Earth did the Beatles conceal hints about Paul's death into their records and movies?And if it was not a hoax, is McCartney really dead, or what...? This book was not prepared, approved, licensed, or endorsed by the Beatles or any related entity or person. The illustrations on the cover and inside the book were drawn by the Author, and were loosely inspired by the historical events surrounding the spread of PID. Nothing is real Why an investigation on PID? For years we’ve been saying that there’s a Great Mystery in the history of Rock’n’Roll. One of the 20th Century’s most outstanding stories, concerning the alleged death of Paul McCartney and his subsequent replacement with a lookalike. The story was based on "clues" from record sleeves, songs, sounds that "proved" Paul had been killed in a car crash in November of 1966. This rumour, usually called “PID” (Paul Is Dead) or, less frequently, “Beatlegate” started circulating in London during much of 1967, though it was limited to a very small circle of people. The rumour surfaced again in late 1969 in the American Midwest, gaining momentum over the following several months; it spread worldwide and, shortly afterwards, it was abruptly (maybe too much so) put aside, hastily labeled as nothing more than folklore. The main existing books on Beatles history, masterpieces such as Philip Norman’s “Shout”, or Ian McDonald’s “The Beatles - Revolution in the Head”, scantily mention this matter in the space of just a few pages, believing it to be a mere byproduct of Beatlemania. “The Walrus was Ringo” by Clayson & Leigh, subtitled “101 Beatles myths debunked” dedicates a brief chapter to “Is Paul McCartney Dead?” stating, once again, that the PID rumour was a mass-hysteria phenomenon, created by imaginative fans. Barry Miles’ “Many Years From Now”, a Paul McCartney biography written with the ex-Beatle’s blessing (and his collaboration), also lets the issue drop after a few lines, as if meaning to close once and for an obsolete legend on which no more time should be wasted. Not to mention George Harrison’s 1980 autobiography, “I Me Mine”, in which the whole PID matter is completely bypassed, as if Harrison didn’t want such a heap of nonsense to spoil his writing. 2009 saw the publication of the first Italian doctoral thesis based on this book's first editions. Its title was Nothing is real: la leggenda della morte di Paul McCartney. Nevertheless, PID just refuses to die. The rumour about Paul's "death" eventually became a myth so cleverly convoluted that the debates over it are virtually endless. I believe it’s quite unfair to disregard as mere “hokum” something that has inspired so many films, documentaries, songs, comic books, novels, theatrical productions. We can’t ignore the thousands of PID-dedicated websites, or the several doctoral theses written about this phenomenon. Worldwide experts in various fields consider PID to be, at the very least, a massive multiplayer adventure, or an endless enigma almost impossible to unravel. Some of the essays on PID, moreover, are as interesting as they are underrated. We must emphasize, however, that almost every survey on the matter aims to prove that the rumour is actually unsubstantiated, a legend, or, at best, a complex hoax. They mean to show how the main clues are easily debunkable, and how, in the end, the whole thing has been nothing but a marginal event within the big picture of Beatle mythology. Of course, they could be right in affirming that PID had been some kind of deliberately engineered hoax. But some of them claim that the Beatles had nothing to do with it, that it was only a chance combination of old gossip and the fevered imagination of overzealous fans. On this point, I totally disagree. It’s unthinkable that the Beatles could have been non-participative victims of an annoying rumour that was spread against their will. In one way or another, they must have been at the root of the Paul-Is-Dead rumour, and the whole thing must have been deliberately instigated. Of course we don’t know the reasons - and we probably never will - but this fact must not be underrated. This story is a thriller, a mystery tale. As in any good thriller, there are detectives, incriminating evidence, "witnesses" being formally questioned, exhibits, examinations, arguments, counter-expositions. Moreover, being a case quite far off in time, though never definitely closed, many new theories have been built around it. And, in the meantime, new investigational methods have been developed. We might compare it to what happened when the Luminol technique opened new perspectives on CSI operations. In our case, the ever-evolving debate on the Web has become a new, mighty fact-finding mean, a treasure-house of ideas. It goes without saying that every hypothesis born on the internet must be carefully weighed, taken with a substantial grain of salt... some of them, however, may be helpful to our analysis, providing us with some further piece of the jigsaw puzzle. This allows us to add to the surveys done in the ’90s (especially in the US) the new points of view and the results coming from the many debates on the Web. We’ll also get to see how new, alternative versions of PID, remarkably different from the “classic” one, were posted online between 2000 and 2010. One version, for example, claims that the alleged death was due to an abduction, rather than a car crash: this was the most interesting, but not the only variation; some of them have turned out to be absolutely paradoxical, others managed to offer valuable hints. I’m making a point of allowing the reader to follow the development of facts, both from a chronological and a logical point of view; in the same way, when reading a mystery novel, one gradually forms a personal opinion about who the culprit may be. I must state right now that nobody here is claiming to provide a final response to such an unsolvable enigma, no matter how we might look at it. On the one hand, no one can deny that most of the so-called “clues” are so farfetched, laughable even, that refusing them is not only easy, but almost pointless. On the other hand, 30% - maybe more - of them remain disturbing, for they can’t be explained by logic alone. Advancing into the folds of this overwhelming story - halfway between a “thriller” and a collective hysteria phenomenon every reader will see how, more often than not, the same “evidence” will eventually lead to two opposite deductions. Many a reader, I am sure, will have the palpable sensation of being caught into a game, a Rubik’s cube, or even better a series of Chinese boxes: every clue, when examined in detail, links to others; every reply brings up more blank spaces to fill. We’ll do our best, anyhow, to come up with some kind of conclusion, even though, to be perfectly honest, just one won’t be enough, and we’ll need a few more. 2004-2013: A “mystery” in progress. In the year 2004, I wrote this book aiming to sum up not only the story of the “PID rumour” but, above all, the different views, the pros and cons for every single one of its elements, whether it be clues or opposing theories. I also found it necessary to point out some details, readings or connections that, until then, had been completely ignored, misunderstood, or at the very least underestimated. Most importantly, I wanted to underline several “contradictions” by the Beatles themselves on the topic, which PID observers had (until then) failed to highlight. 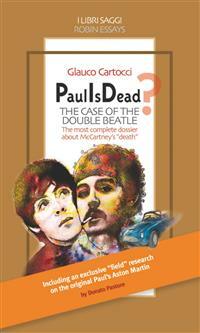 Short after the first edition (2005) of the Case of the Double Beatle, many of the new clues I had interpreted or found were discussed on TV specials, and especially on the Internet, on dedicated forums like Leggende Metropolitane or A Day in the Life. From then on, the newly discovered hints echoed abroad, with a sort of domino effect. The debate continues to this very day. Therefore, 8 years later, not only is the PID mystery still pretty far from being solved, but the multiple inputs supplied during this lapse of time deserve a further survey. If it was a Great Hoax, why on Earth did the Beatles conceal hints about Paul's death into their records and movies? And if it was not a hoax, is McCartney really dead, or what...? A last word of warning for those readers who, being rather acquainted to hearing about this mystery from the press and the TV, may say “yeah, the usual stuff Paul crossing the street barefoot , the same old urban legend... “. What you may have been hearing merely scratched the surface: in this book we’re going to step further, and much deeper, into the Case of the Double Beatle. Dead” enigma, the clues the Beatles left on their records and the debate that followed them. We’ll start by collecting the “basic elements” we’ll need in order to investigate the “Case of the Double Beatle”. In this chapter we’ll list the most significant elements forming the framework of PID, an acronym we will use, from now on, when referring to the “Paul Is Dead mystery”. The basic facts are rather well known, but they are nonetheless important to reach a fuller understanding of the matter. 1. In the second half of 1966, the Beatles were about to split. They had been developing a strong distaste for the Beatlemania phenomenon; more significantly, they were unsatisfied with the poor quality of their live performances. The Beatles’ mood, during the second half of 1966, is well described by Ian McDonald in his book, The Beatles - Revolution in the Head, pagg. 208-209. Their Philippines tour had been a sort of nightmare: the Beatles had been fearing for their lives, and such a “weird adventure” had left its mark on all of them, especially George Harrison.Lennon’s widely known statement to Maureen Cleve (“We’re more popular than Jesus now.. I don’t know which will go first, rock’n’roll or Christianity...”) had caused furious reactions, especially in the Southern States of the USA. Lennon had been forced by Brian Epstein to issue a public apology, which, for a person as self-centered as he was, had been a hard pill to swallow.Further controversy had been provoked by the Yesterday and Today album cover, which depicted the Beatles as butchers, smeared in blood and surrounded by dismembered dolls. The picture clashed with their image as Mother England’s Favourite Sons, as well as with the band’s status.Since the release of Revolver, the Beatles had felt the absolute impossibility of reproducing such elaborate sounds during live performances. For all of the above reasons, George Harrison announced to their manager Brian Epstein that he was determined to leave the band. At the beginning of September, in 1966, the news spread that the scheduled Candlestick Park concert in S. Francisco (August 29, 1966) was to be the last in the Beatles’ career. This date can be found on the website. On November 10, 1966 (let’s keep in mind this date) Peter Brown, a member of the band’s management, officially announced that the Beatles’ touring days were over. 2. Luckily, however, the Beatles decided not to split. At the beginning of 1967 they signed a new contract with EMI-Parlophone, for a series of new albums to be published in the course of the following 9 years. Rumour had it that Epstein had reassured them: touring was absolutely out of the question, in order to allow them all the time they needed to work at leisure in the studio. On November 15, 1966 (another very important date) Epstein officially denied that the band was going to break up. 3. The Beatles did not record anything from June 21, 1966 (“She Said she Said”) to November 24, 1966 (“Strawberry Fields Forever”). Furthermore, no photo sessions were held at all. This fact constitutes one of the focal points of our investigation, and the November 24 date is a very significant one. 4. Starting in August of 1966, Paul McCartney took on a prominent role, almost a leading one, within the group. Among Paul’s ideas were the visuals and concepts behind Sgt.Pepper’s, as well as the Magical Mystery Tour movie and the relevant projects of 1967, a crucial year. While the former leader of the group was still prey to his psychedelic dream, his versatile partner was taking control; and, luckily for the Beatles, this happened just as McCartney was reaching his highest creative peak. I was still deeply depressed during Pepper but I knew Paul was in very good shape at the time. He was confident, bold, while I wasn’t. He was feeling full of confidence, while I wasn’t. I was going through murder. Why was Lennon so upset? He felt insecure and lost after the controversy that had surrounded his “Jesus” statement, and the vehement reactions (including death threats) that had followed.John Lennon had switched his drug of choice from marijuana to LSD. Although it increased his creative drive, the drug also pushed him towards a “dreamlike” state, disconnecting him from reality and daily life. His famous “nothing is real” lyrics are a perfect representation of his state of mind during this period. John and George had already been using LSD for a while, when Paul (and Ringo) first tried it; this led the more “sober” Beatles to assume a leading role in the group (which, of course, included a series of tasks and responsibilities).When Brian Epstein died (August 27, 1967) the Beatles found themselves devoid of a parental figure, but also totally free to control their own future. Since then, Paul was the one who took the most important decisions about the band’s recording sessions, interviews, and public image.Unlike Lennon, who was living in the London suburb of Weybridge, trapped in a somewhat suffocating marriage, Paul was still a bachelor and and dating Jane Asher, a brilliant actress; moreover, through Asher and her brother Peter, he was introduced to the thriving cultural environment of the Swinging London (See Miles, op. cit., pages 167-204.). Many of his new friends, from Barry Miles to Robert Fraser and John Dunbar, were intellectuals, deep connoisseurs of figurative arts and literature, always sitting front row at the most cutting-edge theatrical performances. The famous Indica Art Gallery, where Lennon first met Yoko Ono, was co-owned by Miles, Dunbar and Asher, and supported by Paul. And of course, being a musician, McCartney was highly interested in all ongoing musical experimentation, as well as in modern avant garde composers such as Schoenberg and Luigi Nono. 5. The Beatles’ music, between 1966 and 1967, underwent a radical transformation. This period is universally regarded as a real turning point in the band’s musical production, almost the start of a “Beatles Phase Two”. Some consider Revolver (August 1966) as the last LP of Phase One, while others (myself included) believe it to represent the very start of Phase Two. Sgt. Pepper’s Lonely Hearts Club Band (June, 1967) is widely known as the highest point of their career, a veritable masterpiece. 6. Paul McCartney had one, possibly even two car accidents. Some sources place the first accident 6 on December 26,1965. Paul was driving a moped in Wirral, after visiting his family in Liverpool; he fell and chipped a front tooth. He also injured his lip and was left with a scar. These marks are clearly noticeable on the cover of the Yesterday and Today LP – the so-called “Butchers’ Album” – as well as in the “Rain”/”Paperback Writer” made-for-TV videos, and in the band’s June 1966 appearance on the Ed Sullivan Show. The connection to Browne represents a crucial and extremely overlooked element, so, keep it in mind. This particular report of the moped accident will be examined again on Chapter 1,7, dealing with contradictions and weird statements in PID reports. Others, like Ian McDonald, place the event on November 9, 1966, based on Paul’s own relation of the fact. Paul has said he had been with his friend Tara Browne, and that they had both smoked weed. Whether accurate or not, this date is nonetheless extremely important, as it is indicated by PID theorists as the exact day of Paul’s “death”. There are sources stating that, on November 9, 1966, British newspapers printed some confusing articles, one of which reported that Paul had had his head cut off. Ice on the M1 motorway, this time, was reported to be the cause. The brief piece was described as a “False Rumour”, on n°43 of The Beatles Book fanzine. According to the article, the Beatles’ Press Officer has called Paul’s St. John’s Wood home, and the bassist himself had assured him he was alive and well, and that he had been home all day, while his black Mini Cooper was locked up in the garage. 8. During the final months of 1966, the Beatles were the first rock band in the world whose members grew beards and mustaches. Coincidentally, the short piece about the new Beatles look, appearing on “The Beatles” fanzine in January 1967, was placed right under the aforementioned “False rumour”, see Point 7. Nowadays it may look like a minor event, a mere curiosity even, but at the time it had a remarkable effect on young people all over the world. It’s undeniable that the facial hair was a kind of mask, an alteration of shape that went beyond a mere fashion statement. Furthermore, as far as the Beatles were concerned, the beards marked their actual transformation from “merry lads”, “pets of England”, to Men, Bearers of new Ideas, ambassadors of the Hippie Philosophy and symbols, we might say, of those roaring years’ Zeitgeist. Let this suffice, for the moment: we will later examine how such an apparently shallow fact is connected to PID theories. At this point I find it necessary to present, without delving into too many details, a general outline of two different versions of the PID “legend”. Each version is accompanied by its own variation (variation B) which I’ll sum up just for the record. Later on we will examine the details. This version started circulating in the autumn of 1969, with the release of Abbey Road. On November 9, 1966, at five o’clock in the morning, Paul was involved in a car crash.Paul was driving his Aston Martin.The accident was due to Paul being distracted at a crossroads, and not noticing the light had changed to red. Paul was decapitated.The Beatles covered up the whole thing, replacing Paul with a lookalike, William Campbell, an English (or Scottish?) actor; the resemblance was fully obtained with the help of plastic surgery.The Beatles, possibly out of guilt, inserted various kinds of clues in their records, from covers to hidden sound elements. The crash was not accidental. It had been plotted by the CIA and the MI6 and its elected target had been Brian Epstein. The secret agents killed Paul by mistake, and were forced to cover it all up by finding a suitable replacement.The Beatles were bound to absolute silence about the whole matter.The clues on the records didn’t stem from a sense of guilt, but were a sly move, on the Beatles’ part, to bring the story to light. This version was the result of an alleged George Harrison interview from 1992, appearing on the Internet in the early 2000s. It was probably posted online after Harrison’s death, in November of 2001. A DVD documentary released in 2010, which we will later examine, was based on the same interview. Paul had a car crash on the evening of September 11, 1966 (the “classic” version, as you may recall, indicated a different day), but he got out of the car safe and unscathed; shortly afterwards, however, he was kidnapped, together with Brian Epstein.Two girls had been in the car together with Paul and Brian; one of the girls managed to escape, the fate of the other remains unknown.The Secret Services were handling the kidnapping investigation, but never released any information to the public or to the press.Paul’s body was found, half burned and mutilated, a few days later.Paul was replaced by William Sheppard, a Canadian policeman and an acquaintance of Ringo’s.At the beginning, the Beatles used a “voice impersonator” for their recording sessions; later on, Sheppard would also learn to sing and play.Brian Epstein was also found murdered, and the Secret Services replaced him with another lookalike. The second version tells a very similar story, but makes no mention of George Harrison. Paul had a car crash on the evening of September 11, 1966. He wasn’t injured, but the accident left him in a confused state of mind; he went missing for several days, before being found and taken home by Brian Epstein.From this moment on, the two of them disappeared (? ), then they were both found dead. The rest of the story is exactly the same as Version One. Let us assume, for a moment, that Paul’s death actually happened and that the “PID” theory is true. Whatever the real version of the events may be, it is logical to assume that, in addition to the three surviving Beatles and the man who took Paul’s place (let’s call him the Replacement) many other people were aware of the fact, both at the time it happened and in later years. The secret must have been known, at the very least, by all the people listed below. Brian Epstein – the Beatles’ manager.Peter Brown – Epstein’ s assistant.Mal Evans, Neil Aspinall, Terry Doran - road managersThe Beatles’ entourage.Tony Barrow – former agent.Derek Taylor - second agent, press agent, spokesman.Nat Weiss – the Beatles’ U.S. attorney.David Jacobs – Brian Epstein’s attorney.Sir John Lockwood, Alistair Taylor, and other heads at EMIGeorge Martin – arranger and producer of the Beatles’ records, also known as “the fifth Beatle”.Norman Smith, Geoff Emerick, Richard Lush – sound engineers (as well as their many colleagues at EMI).Michael Cooper, Peter Blake & Jann Haworth, and the mysterious Joe Ephgrave – creators of the Sgt.Pepper’s cover.John Dunbar, Barry Miles, Robert Fraser – Paul’s friends, the “Indica Circle”.Jane Asher – Paul’s fiancée.Peter Asher – Jane’s brother, who was very close to Paul.Cynthia Lennon – John’s first wife.Patti Harrison – George’s first wife.Maureen Cox – Ringo’s first wife.Paul’s relatives: his father Jim, his younger brother Michael, and other members of his family. (Paul’s mother, Mary, had died in 1956)Mimi Stanley – John Lennon’s aunt, the one who had brought him up. It’s hard to imagine John could have kept her from learning such an important fact. Julian Lennon – son of John and Cynthia: though being quite young in 1966, he might have been informed of the substitution in the following years, maybe by his mother.Yoko Ono – John’s second wife. Their son Sean.Olivia Arias – George’s second wife. Their son Dhani.Barbara Bach – Ringo’s second wife.Zak and Jason Starkey – Ringo’s sons. The (many or few) onlookers at the crossroads where Paul’s crash supposedly happened.The journalists who were “asked” not to publish anything about the accident.The surgeons who changed the mysterious lookalike’s facial features.In Version 1 (and 1B), the driver of the vehicle (car or lorry) that collided with Paul’s Aston Martin, and the policemen who arrived on the scene.In version 1B, the secret agents.In version 2 (and 2B), the unknown kidnappers;The vocalist who replaced Paul on the Beatles’ records.In version 2, the girl who escaped the kidnapping. We will now examine in detail the best-known version of PID. There are a few small differences between the two versions, so we’ll stick to the “main” one and use the Notes to point out any discrepancies. As for the comments, we’ll keep them all for the final chapters. On October 12, 1969, while broadcasting on Detroit’s WKNR radio, disc-jockey Russell Gibb told his listeners that, the previous evening, he had received a chilling phone call. Other sources report that the phone call was broadcasted live on September 12, and the caller was an Eastern Michigan University student named Tom Zarski. Although this version sounds more circumstantiated and realistic, most reports of the time lean towards a caller named “Alfred”. The man on the phone had introduced himself as “H. Alfred”, claiming to know a disturbing secret about one of the Beatles. According to the mysterious caller, Paul McCartney had died three years before in a car crash, on November 9, 1966, at 5 o’clock in the morning. The caller (without producing any substantial evidence) said a rumour had been spreading in Britain about a dead man found at the wheel of an Aston Martin, whose mangled corpse had prevented identification. The head of the man had been (perhaps just partially) removed from his neck. Alfred – or Tom, whatever the name of the speaker was – proclaimed that the victim was Paul McCartney, who had been identified through his toothprint; he added that a conspiracy of silence had prevented the tragic news from reaching the media. He completed his report by adding that four months after the accident, in February 1967, the Beatles Official Fan Club had held a “Paul McCartney look-alike contest”, a common practice among fanzines of the time. Hundreds of people from all over the world had sent their photographs to be included in the selection, but the winner had never been revealed, which sounded rather strange. The mysterious man on the phone suggested that the contest was actually designed to find a lookalike who could replace the late Paul, and that the gimmick had served its purpose. The lookalike’s name was William Campbell (some say he was from London, others from a Scottish town), a man who had no family. In order to replace Paul McCartney he had to be a fairly good actor, besides having a certain talent for singing and playing the piano. He had a somewhat “natural” resemblance to McCartney, which had been further improved by plastic surgery. Up to this point, there was still no proof at all to support Alfred’s story. However, the man soon delivered his coup de théatre, saying that the clues were all... in the Beatles’ records: hidden on the covers, in lyrics, in sounds, speeches, whispers, weird distant voices and the so-called “backward tapes”, messages that could be heard by playing the songs backwards. What are backward tapes (or simply “backwards”)? We find it appropriate, at this point, to explain the technical nature of what is commonly referred to as “backwards” or “backward tapes”. A backward tape is a tape on which the sound wave has been entirely or partially reversed. Therefore, when listening to it, the sound moves from the end towards the beginning. To put it simply, a sound which normally goes BOOOM, when played backwards, would sound as MOOOB. Nowadays, it is very easy to perform editing tricks of this kind: any dedicated digital software offers a “reverse” command to be applied to a track (or part of a track). Questionable opinions about this technique are commonly found on the Web. A simple “backwards”, however, can be achieved with a basic monophonic tape recorder, on the market since 1965. I tried it myself, many years ago, by turning the reel upside down, and I managed it easily. On the other hand, if we are talking about the actual quality of sounds, it’s obvious that a low-fi tape recording will provide low-fi results even when reversed. During the Sixties, the most sophisticated equipments (that is to say, 2 or 4 separate tracks), were out of reach for most amateurs, but we know for a fact that the Beatles had these kind of means at their disposal. Their first “backwards” experiments appeared in 1966: the track end of “Rain”, the guitars on “I’m Only Sleeping”, the cymbals on “Strawberry Fields Forever”. With a four tracks, the trick becomes pretty easy to pull off. The problem, then, lies NOT in the creation of the sound, but in the average listener’s capability to hear the “hidden message”. One of the methods to do so was to place the turntable needle on the appropriate spot, then manually run the motor backwards. Needless to say, even then, the quality of sounds was far from perfect, due to unavoidable fluctuations in speed. Another method, as I have previously explained, was to record the sounds from vinyl to tape and then turn the reel upside down. We can assume that the radios spreading the “PID” rumour had the best equipment available, so it’s fairly safe to say that sound engineers or DJs could do a better job of analysing backward sounds. From these elements, therefore, we can draw our first conclusion: in the Sixties it was possible both to create “backwards” and to listen to them, albeit with some predictable differences in quality depending on the equipment at hand. Most of the times the result is gibberish (often occurring during a pause or an “empty” part of the song) which only becomes intelligible once the tape is turned backwards; or vice versa. In this sense we can’t really call it a “subliminal message”, but rather a kind of riddle. Such is the case with most “backward clues” in the history of PID: songs (or part of songs) hiding reversed messages (e.g. “I’m So Tired”, “Revolution 9”). “Blue Jay Way” (see Part 1, Chapter 3) is the only song which could possibly fulfill the requirements for an effective “backward masking”, to use a definition created by David John Oates (Reversespeech.com), one of the main theorists of this particular technique. Among the most recent backward clues we can’t fail to mention “Gratitude” (see Part 1, Chapter 6), which almost undoubtedly appears to include a deliberate message. Nowadays, however, modern digital software offers a much broader range of means to musicians willing to hide this kind of “tricks” in their songs. Right after dropping his bomb, by referring to the "clues" the Beatles had hidden in their records, the mysterious caller hung up the phone. It was the beginning of the Great Hysteria: the news spread all around the world and several groups of fans, among which were some Columbia University students, started discovering hidden messages in the Beatles' production. By the end of 1969, it had become a sort of worldwide trivia. Some fans at Hofstra University went so far as to create a special club called the "Is Paul McCartney Dead Society", chaired by Louis Yager. Needless to say, the rumour fueled the sales of Beatles' albums: not only the latest LP on the market, Abbey Road, but the older ones as well, including those that preceeded the date of Paul’s alleged death. It's worth noticing that fans claimed to have discovered plenty of clues or messages even on the records published before November 1966 . This (apparently absurd) phenomenon can somehow be explained: we'll examine it later, by setting apart the two groups of clues and separating those prior to the end of 1966 from the more relevant ones, appearing between 1967-1970 and in the following years. In addition to the discovery of "clues", some people started pointing out that there were actually some slight physical differences between the “first” and “second” Paul, as if plastic surgery hadn’t succeeded in creating a "one hundred percent perfect" lookalike. Campbell was supposedly a little bit taller, with a longer head, slimmer face, less prominent cheeks and a slightly larger nose. Furthermore, Campbell was said to be a bit older than Paul. The scar on Paul’s chin was a crucial point in the debate. Some claimed that it was a peculiarity of the lookalike, although, the videos of "Paperback Writer" and "Rain" (see chapter I) already showed evidence of some small marks on Paul's face. The Beatles were rumored to have grown moustaches, at the end of 1966 (their first pictures with beards and moustaches having been taken on February 1967, just before the release of the hit single "Strawberry Fields Forever" /"Penny Lane"), in order to hide the replacement better by using facial hair as a camouflage. And of course, within this framework of events, their decision to end touring was due... to Paul's death, and nothing else. Campbell – people said – wasn't a complete stranger, in fact he’d been an acquaintance of the Beatles' since 1962. At this point the rumour started spawning several different interpretations, some of them surrounded by a halo of legend. A particularly weird theory that can still be found on many Internet pages, most probably reported by one Mark Mraz, attributes Paul’s car crash to a hitch-hiker named Rita. According to this version, Paul McCartney had offered this pretty girl a ride, and she, by throwing herself at him, had caused his fatal distraction at the crossroads. Such a silly idea has no basis in reality and all, and most probably stems from an old cartoon from The Beatles' Animated Series (39 episodes produced for U.S. TV since 1965) which shows a rather “forward” girl jumping willingly into Paul's open car. From the song “Lovely Rita, meter maid”, a girl who looks after parking meters. There were others who claimed that Paul had crashed because he was busy looking at a beautiful Meter Maid. The story was furnished with details galore: the car had caught fire, and, rather than dying on the spot, the Beatle had succumbed later, due to injuries to his skull and after losing his hair and teeth. Another hearsay version claims Brian Epstein was riding with Paul in the deadly car. And there’s more: the day before, on Tuesday evening, Paul had had a furious squabble with the other three Beatles, and his perturbed state of mind had caused him to drive fast and ignore the traffic lights. Finally, this "legend" asserts that Wednesday morning papers were censored, to prevent the horrific accident from reaching the public. The Beatles' reaction to all this hullabaloo was, overall, less indignant than it might have been expected. They downplayed the rumours, addressing them with a few jokes. Paul McCartney was away from London, in his Scottish estate, together with his family. One of his first comments was "If I were dead, I'd be the last to know!" Then came the first official denial, delivered to the London correspondent of Life magazine, Dorothy Bacon. Perhaps the rumor started because I haven't been much in the press lately. I have done enough press for a lifetime, and I don't have anything to say these days. I am happy to be with my family and I will work when I work. I was switched on for 10 years and I never switched off. Now I am switching off whenever I can. I would rather be a little less famous these days. I would rather do what I began by doing, which is making music. We make good music and we want to go on making good music. But the Beatle thing is over. It has been exploded, partly by what we have done, and partly by other people. We are individuals - all different. John married Yoko, I married Linda. We didn't marry the same girl. Having dropped this last “bombshell”, triggered to burst in the months to follow, McCartney ended the interview by speaking of his desire for privacy: "The people who are making up these rumors should look to themselves a little more. There is not enough time in life. They should worry about themselves instead of worrying whether I am dead or not. What I have to say is all in the music. If I want to say anything I write a song. Can you spread it around that I am just an ordinary person and want to live in peace? We have to go now. We have two children at home." “LONDON AP-Paul McCartney vigorously denied today the rumor that he is alive and well. At a resurrection ceremony held at London's Highgate Cemetery, the 24-year-old Beatle, who would have been 27 had he lived, emerged from his tomb to insist that he was decapitated in a car accident three years ago. "This is the sort of thing one doesn't get over," he told a crowd estimated by Scotland Yard at 3,500. "If I were really alive, wouldn't I be the first to admit it?" Amid a chorus of anguished protest from the audience, McCartney re-entered his crypt and was seen to bolt it from the inside. Despite this brief reincarnation, the rumor persists that McCartney lives, strengthened by the report that a new Beatles movie, in which he appears, will be issued next year. As McCartney proved by appearing at a Glasgow airport last week, he is indisputably alive"
After this astounding start, the article's tone turned serious, explaining how the magazine had meant to make light of the matter, as there was no other way to treat such absurdities. The article finally drew the conclusion that Paul McCartney and his colleagues had not at all been damaged by those "silly rumours", which had resulted in free publicity for the Beatles and their current album, Abbey Road. "The rumour is not likely to die before he does. After the event, which could occur 50 or so years from now, the last surviving mongers of this particular rumor will triumphantly crow ‘I told you so!’"
The PID version we have called 1B follows the very same course of events as the first one, but it reads them all in a different light. Several internet websites, such as http://www.erichufschmid.net/Conspiracies4.htm, typically handle the PID enigma by explaining it as the result of a conspiracy. It seems rather strange that the Beatles should hide McCartney's death so carelessly, but there's a reason for that: the car crash had not occurred by accident. A plot had actually been put in motion by powerful organisations, most likely the CIA or/and the MI6, but the agents deputed to the task had completely spoiled it by making a terrible mistake. The designated target had been Brian Epstein, the Beatles' homosexual manager. At the time, homosexuals were hated and treated almost on a par with kids molesters. For this very reason, a few months before, Brian had even been beaten up by a group of strangers. Moreover, he was a Jew, a wealthy one, famous and powerful. When the actual victim of the provoked crash had turned out to be Paul instead of Brian, the CIA and the MI6 had panicked. At first they had tried to convince the Beatles to accept the idea of a replacement, but the boys had found the suggestion completely absurd. The agents had then turned from persuasion to intimidation, leaving the Beatles no choice. The whole thing had caused them horrible frustration and anger, which had eventually led to their break-up. Their lyrics, getting weirder by the day, give a pretty good idea of the surviving Beatles’ state of mind. Finally, in 1980, Lennon was mysteriously murdered and, a few years later, George sadly died of cancer, which was also probably induced by CIA. The "usual" search for an explanation, in this case, is seen from a conspiracy theorist’s point of view. Nowadays it is rather common to explain a mystery by assuming groups of political or economic power are acting in the shadows, possibly with the help of the Police or the Secret Services. Conspiracy theories have been the subject of vast academic work, and have gone so far as being described as a "form of popular knowledge". By now we all are well acquainted with them , ranging from the JFK case to the numerous debates on the real causes of the September 11 attacks. It would be very hard to state that this version of PID holds any water, but some part of it might turn out useful later, when we’ll draw our conclusions on the whole case. Do you remember when everyone began analysing Beatle songs? I don't think I ever understood what some of them were supposed to be about. It's now time for us to examine the large amount of PID clues that have built up over the years. Most of them came out with the "PID explosion" of 1969, others appeared later; some have been widely debated, while several others have been neglected, although this doesn't necessarily mean they are any less significant. We might divide them into two main groups, the "POST-Death" and "PRE-Death" clues. And here’s why: the clues appearing after November 9, 1966 (that is to say, subsequent to Paul’s alleged death) are, in a word, a kind of "proof" that it really did happen. For this reason, we will examine them first, and more closely than those referring to earlier albums. The clues appearing before the crucial date can be considered a sort of anachronism... whatever one may think about PID, it's impossible to find "proof" of an event that has yet to happen! Does it make any sense, then, to even talk about them? The answer is yes, because they have a "particular value" that we’ll explain in the next dedicated chapter. Let us begin, therefore, with the "weighty" POST-Death clues. I will number them, starting from POST/1, and give them one or more stars (*) depending on their relevance. Please note that by doing so I don’t mean to judge their "forensic evidence" value, but only that they occurred more frequently, statistically speaking, in the debates about the Paul Is Dead mystery. Right below every numbered clue I'll provide its PROs and CONs, resulting from lengthy debates on the matter, in the early years reported in both books and fanzines, then mostly on the Web. It's remarkable how, from time to time, each of the CONs has in turn been rebutted with a counter-argument. In some cases, whenever I find it appropriate, I'll add a personal comment of my own, highlighted in bold. This is not meant to influence readers, but to help them by pointing out forced elements, or mere fancies that do not conform to the facts. Ultimately, I'll try to provide the adequate tools for everyone to form a personal opinion. The images shown here should be used as a mere visual aid, and I highly recommend everyone to find the original Beatles' records, possibly on vinyl, as they have bigger covers than CDs. A mystery such as this requires patience, an eye for detail and, of course, a magnifying glass! Oldies But Goldies, cover. On the left we see a drawing representing a rock band, most likely the Beatles, and the man who's supposed to be Paul is holding a cigarette in his right hand. PRO: this element symbolizes some kind of fault, indicating that something is wrong with Paul; and it must be related to the Abbey Road LP's cover, where Paul is also holding a cigarette with his right hand. (see POST/99). CON: the detail is referred to a generic figure, not necessarily Paul, thus it has no relevance. Oldies But Goldies, cover. A car is pointing directly at the head of the "Beatle figure" in the middle of the drawing. PRO: this element refers to Paul’s beheading; furthermore, this figure occupies the very same position in which Paul was on the cover of their second album With the Beatles. I can't see any correspondence at all between the two illustrations: this figure is shown at an angle, while Paul's photo on the With the Beatles cover was a frontal shot, so there's no similarity. Oldies But Goldies, cover. For the first time ever, the name of the band reads "Beatles" instead of "The Beatles". PRO: this means the band is no longer the same. CON: it's only a natural evolution. The definite article would be back just two years later, on the White Album cover, in the form of an embossed logo. We'll return to this issue later on. Oldies But Goldies, cover. The word OLDIES contains the word "dies". PRO: The letters "O" and "L" have a specific meaning as well. They are the two letters preceding McCartney’s initials ("P" and "M") in the alphabet. The resulting sentence reads "PM dies"
At first glance, this sounds really too abstruse to be true; we may recall, however, that in Arthur Clarke's book "2001: A Space Odyssey" as well as in S. Kubrick's movie version, the spacecraft's computer is called HAL: and it is well known that the three letters H, A, L precede in the alphabet those of IBM. This can be read in two different ways: it might have been a well-known trick, thus "OL" could actually stand for "PM". Vice-versa, whoever first thought of this PID clue might have been influenced by "2001". There is no saying. Oldies But Goldies, back cover. Paul is the only Beatle dressed in black. PRO: black is the colour of mourning. CON: black is just a colour, like any other. This focus on colours in PID theories is devious, as it is used at the theorists’ convenience. Sometimes, PIDers also refer to white (the colour of the mourning in Eastern cultures) or to red, the colour of blood. Either way, I don't think this kind of indication may lead us anywhere. "Strawberry Fields Forever": Lennon’s voice is faintly audible at the very end of the song, picked up as leakage onto one of the drum microphones. Lennon seems to be saying "I buried Paul". This is one of the most relevant clues which fueled the start of PID. PRO: What more do you need? The sentence is tragically clear. CON: John Lennon actually says "cranberry sauce". In 1974, McCartney himself declared "That wasn't 'I buried Paul' at all – that was John saying 'cranberry sauce', it was John's humour". "Cranberry sauce" appears a bit clearer when listening to the version of the song published in the Beatles Anthology in the '90s. Nevertheless we might recall that, when first denying the PID rumour, Derek Taylor, press officer for the Beatles, strangely came out with a different explanation for John’s weird murmur. According to him, Lennon was actually saying "I'm very bored". As for me, I believe this particular interpretation sounds more convincing; others, like Andru J. Reeve, heartily support the "Cranberry sauce" interpretation. One of the recurring lines in the lyrics says "nothing is real"; the second time it occurs, the camera zooms on Paul's face, which looks rather bizarre, almost fake. CON: just one out of three shots is not significant: it would be if, every time the line was sung, the camera frame lingered on Paul. Moreover, the other three Beatles are often shot in close-up as well. This LP is often cited as the Beatles’ magnum opus and one of the most influential albums of all time. It’s only natural that many clues should be found also, or should I say especially, on this album. Most of the clues appearing on Sgt. Pepper’s are visual. The luxurious cover design was created by Peter Blake & Jann Haworth, while Michael Cooper – with the help of Robert Fraser, a close friend of Paul's – took the photographs on March 30, 1967. It’s worth noticing that all the people involved in the making of this artwork claimed that McCartney had a very creative and guiding role in almost every choice. The characters depicted on the cover were selected by the Beatles themselves; almost 60 life-sized photographs were used for the Sgt. Pepper’s cover, together with nine waxwork models on loan from Madame Tussaud's. Those included wax figures of the Beatles themselves dressed in their "old" outfits, while the "new Beatles" were shown at the center of the photograph, wearing the uniforms of the Sgt Pepper's Lonely Hearts Club Band. One of the inspirations for the cover was to represent a crowd in a park where a local band is going to perform, with flower decorations, figurines, statuary and all that kind of stuff. Another strong leit-motif in the cover is the bold transition from the Old Phase of the Beatles (who are therefore shown as waxwork statues) to a New Beginning, a dazzling "Beatle Story, Part II". The Beatles are thus reborn with a new look in primary colours, a different one for each of them, symbolizing their strong personal identities. No more ties or collarless jackets, no more "moptop" haircuts, each of them free to wear his own trademark moustache or beard. The Beatles, a "four headed monster" as Mick Jagger had once defined them, are now reacquiring their individualities. There's no doubt, anyway, that this delicate passage is somehow linked to a feeble sense of finality: re-birth is connected with death, and there’s no way around it. The late Stuart Sutcliffe, the band’s first bass player, looms like the ghost of salad days, and the general impact of the cover is, if not mournful, at least rather gloomy. The Beatles, their black-clad doubles and the surrounding crowd seem to be overlooking a tomb, covered in freshly turned soil. No wonder so many clue hunters detected PID elements in the whole scene. PRO: the "Beatles" logo is made of flowers, the picture definitely shows a mourning crowd at a funeral, so who is in the coffin? CON: it’s a transition, not a funeral: the "old" Beatles – represented as wax figures – are turning into the brand new "Sgt. Pepper’s Band". Sgt. Pepper’s, front cover. As it happened before, on the Oldies But Goldies cover, the name of the band reads "Beatles" instead of "The Beatles". PRO: the band we knew is no longer the same. CON: as we stated before, it's only a marketing choice. Sgt. Pepper’s, front cover. An additional "O" seems to appear after "Beatles". PRO: the letters form the sentence BE AT LESO. "Leso" could be the resting place of the real McCartney. CON: such a site (country, town or whatever else it may be) is nowhere to be found. Furthermore, this "O" letter is not as evident on the other shots taken for the cover. It's all due to the power of suggestion, in reality there is no "O" at all. This latter, odd idea was probably the result of some kind of hearsay: the Beatles were allegedly about to buy a Greek island where they could live all together with their families, and, more importantly, where they could shun the high English taxes. But PIDders went a lot further, depicting this heavenly Island as lying under the surface of the sea... they managed to mix up the mythical land of Atlantis with the underwater themes of the two Beatles' songs Yellow Submarine and Octopus's Garden! The name "Leso" will return later in PID Version 2, where it will have a different, creepier kind of interpretation. Sgt. Pepper’s, front cover. Right before the word "Beatles", a number 3 made out of flowers can clearly be seen. PRO: 3 stands for the three surviving Beatles, a clue that will return again and again, on the covers of the Magical Mystery Tour and Abbey Road albums. CON: this number "3" is not as evident on the alternate pictures taken for the cover. There’s no hidden message. Sgt. Pepper’s, front cover. A bunch of yellow hyacinth flowers form a guitar for left-handed players, similar to Paul's bass guitar. On top of it, we can also see three sticks. PRO: 3, as we said before, stands for the three survivors. The hyacinth, moreover, is the mythological flower of death. CON: The florist's young assistant for the shoot suggested making a tiny guitar out of flowers. The Beatles approved his idea, and that's all there is to it. Also, please remember that a bass guitar has 4 strings, not 3. Sgt. Pepper’s, front cover. The same bunch of flowers has the word "PAUL?" spelled out on it. PRO: the question mark relates to the uncertain identity of the Beatles' bass player.